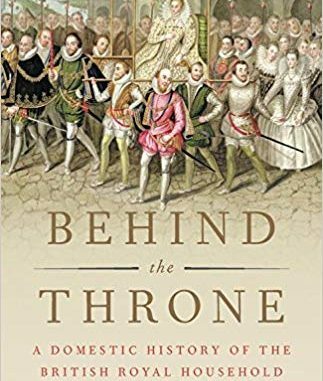 Behind the Throne: A Domestic History of the British Royal Household takes a look at the workings of the royal household, above and below stairs. We begin with Queen Elizabeth I and end with the second Elizabeth 500 years later. I enjoyed the first parts of the book but as it also focusses heavily on the timeline and major events, which most will be familiar with, it can become rather repetitive. It became less and less about the workings of the households and more about the Kings and Queens involved. Despite this, you can certainly tell that a lot of research has gone into this and I cannot deny that the writing style is quite good. Behind the Throne: A Domestic History of the British Royal Household by Adrian Tinniswood will be released on 2 October in both the UK and the US and is available for pre-order now.